Many Niagara homeowners wonder: is duct cleaning a scam? If a solicitor is calling your home, or knocking at your door, they are likely hoping for an uniformed, quick sale. If an advertisement shouts $99 Duct Cleaning, it’s likely vacuuming the registers in just one room. 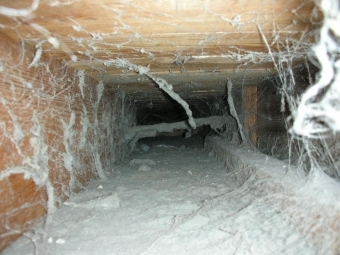 Customers report that duct cleaners are the worst for hidden fees and upcharges. Duct Cleaning & Duct Vacuuming are two different services. For true results, Duct Cleaning should be performed by a licensed HVAC technician and should include a Brush System that actually clears caught debris & buildup. As well, homeowners should insist on a viewing the Duct’s interior through a high quality Camera System. To better the results further, a thorough furnace cleaning and air filtration system can remove 99.98% of allergens by trapping particles as small as 0.1 micron (100 times more effective than a standard filter). Rotobrush® is the state-of-the-art Duct Cleaning & Sanitizing System used by HVAC professionals and the system Konkle Technicians are trained to operate. Yes, it's possible to get a verbal quote over the phone during a duct cleaning sales call. Be sure to ask if the price includes the whole home HVAC system, and that the technician can also clean or service your furnace. Be sure the duct cleaner has a License (G1, G2 or G3) and is qualified to work with heating equipment. Start the year off right with better air quality in your home. » In Niagara? Call for a quote. Specialists in: Furnace. Air Conditioning. Plumbing. Gas Lines. Water Heaters. Rebates. Hot Water Heaters, Pumps, Residential & Commercial Services.